Richland Point Subdivision! Great part of Lake Hartwell with deep water. This brick two story home has a small Corp Line! This traditional home offers large rooms with detail extras! Enjoy special family occasion in the formal living room or formal dining room. You will love the large family room with fireplace and doors that lead to the sun room. The kitchen offers corian counters, large walk-in pantry and open breakfast area. All appliances to remain. The laundry room includes cabinets and a laundry shoot from upstairs. This home features 3 or 4 bedrooms and 3 full baths. The 4th bedroom or office is located on the main level. The master suite includes 3 walk-in closets (one being cedar), Jacuzzi tub and sep shower. The large sun room with several sliding doors leads to the wrap around deck. Outside shower. Security System and central vac in place. Two car Garage with passage door. An outside shower is also a nice extra! This home currently has a platform dock but Corp of Engineers verbally approved a covered dock with longer gang walk. This would need to be re-verified by buyer. 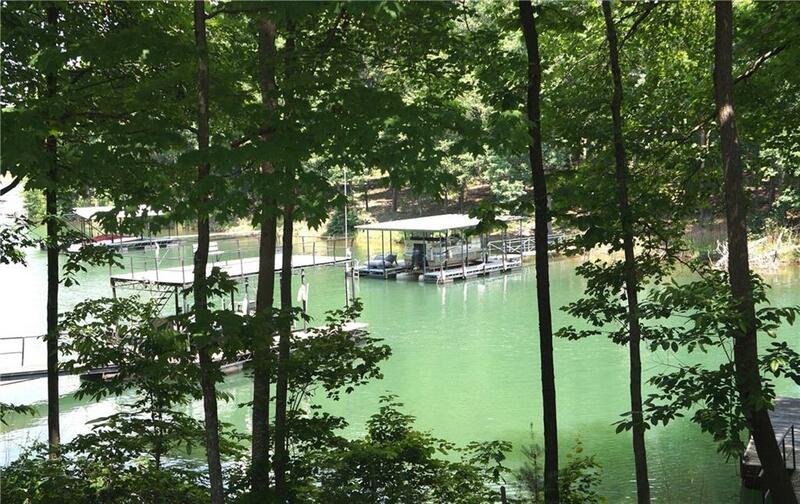 Call today for a private viewing of this lakefront home!